With the 3D printing technology, we are able to create innovative ideas that were not possible before. One of these creative ideas is provided by the Swedish startup, Gassling. 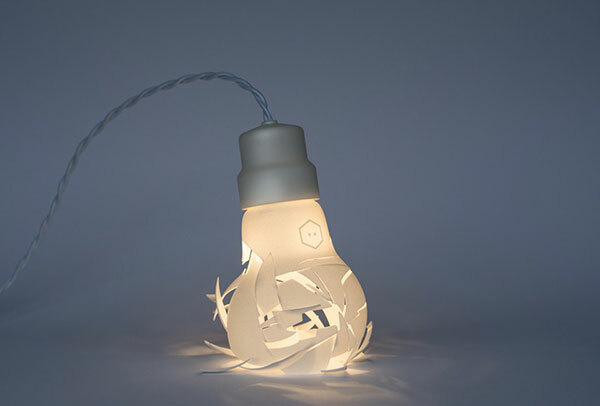 The 3D printed lamps approach the product design with a new shape. Joakim Chrstoffersson, the product designer, created three models for the lamps. The first model is for a broken lamp after falling on the ground. 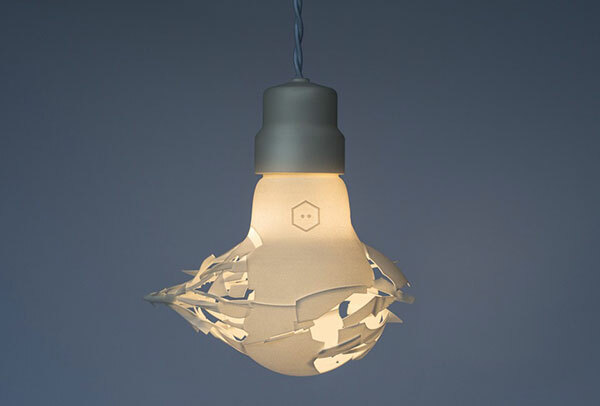 The broken glass creates a flat part at the bottom of the lamp so you can place it on your desk as well as hanging it. Chrstoffersson named this model as “Oops I dropped the bulb”. The second model is for lamp hit by a bullet. The design shows the lamp glass breaks while the bullet go through it. The design is for a pendant lamp and called “Bullet meet bulb”. The third and last design is for a wall hanged lamp. 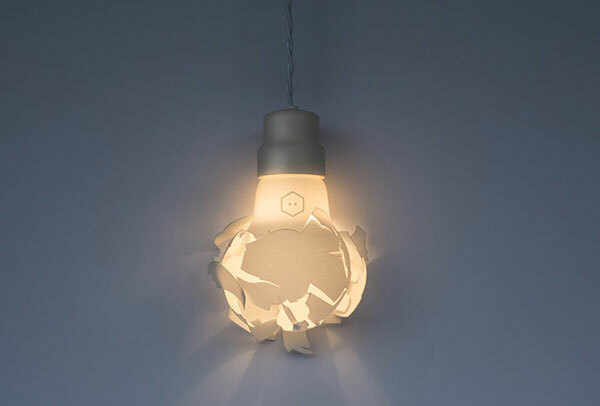 It is a product design for a lamp broken after hitting the wall. This model is called “Wrecking blurb”. The design studio did not provide information about the design process and how they do the 3D printing for the lamp design especially with the fractal glass parts that goes outside the lamp shape. The 3D printed lamps are powered by 6W led light and delivered with 12V 110V/220V transformer. While the product is very creative, it has one of the common issues that face the 3D printed products, which is the price. The price of any of the models is €399.00, which is expensive comparing with similar products. If you are interested to light you room with a creative 3D printed lamp, you can check the lamp three models in the Gassling webstore and order any of them.